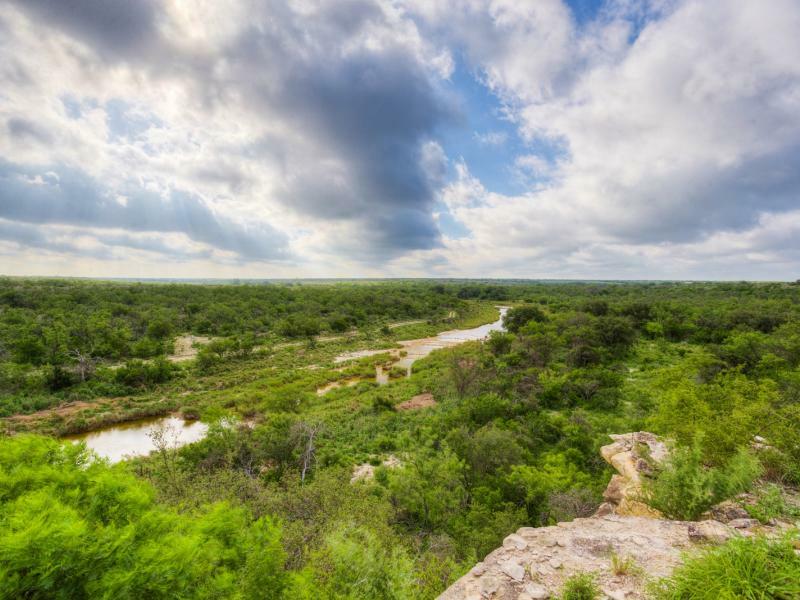 The 11,889 acre Dos Angeles Ranch is located just 12 miles Southwest of Bracketville, Texas in Kinney County. 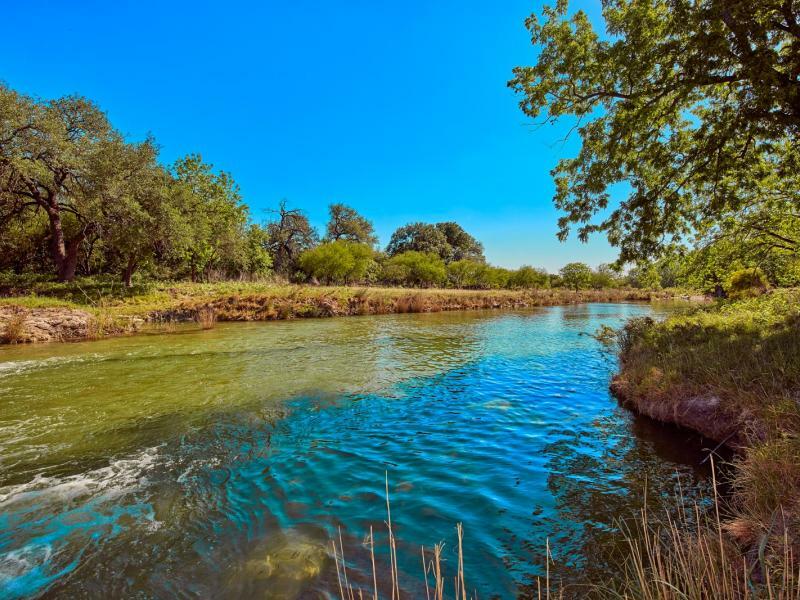 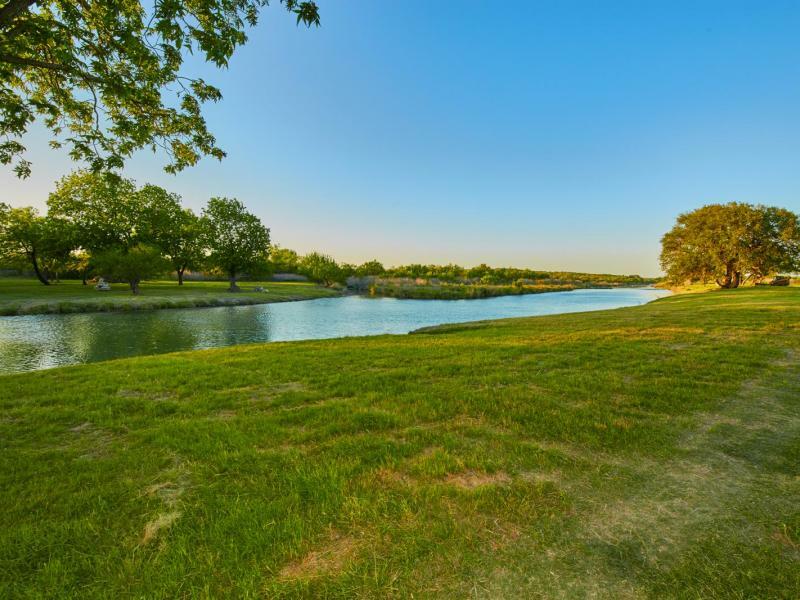 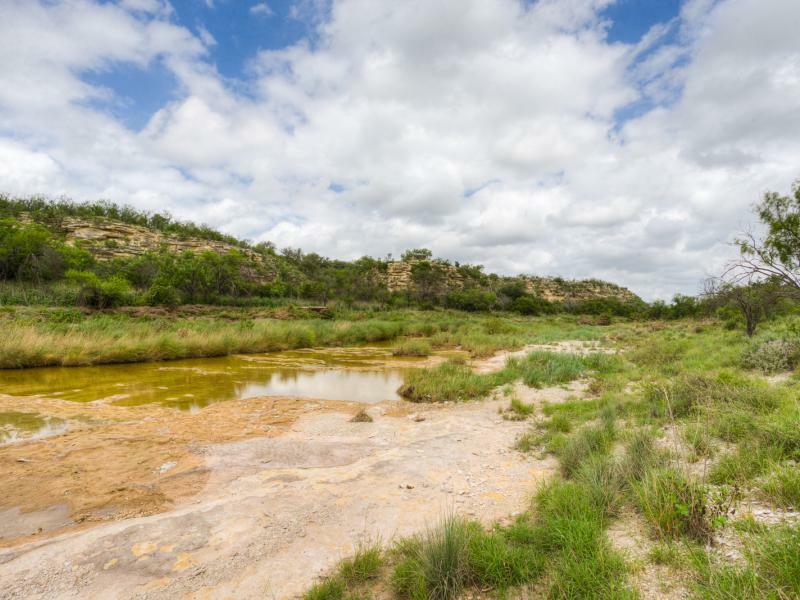 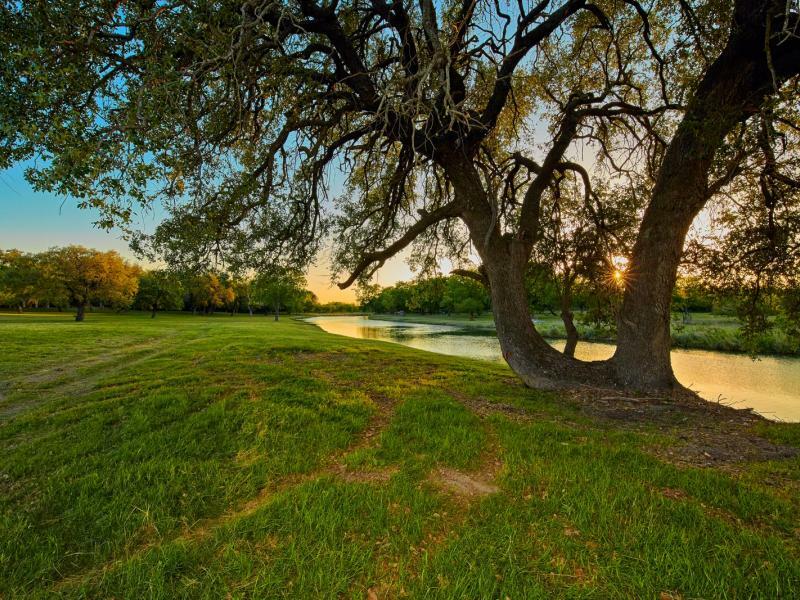 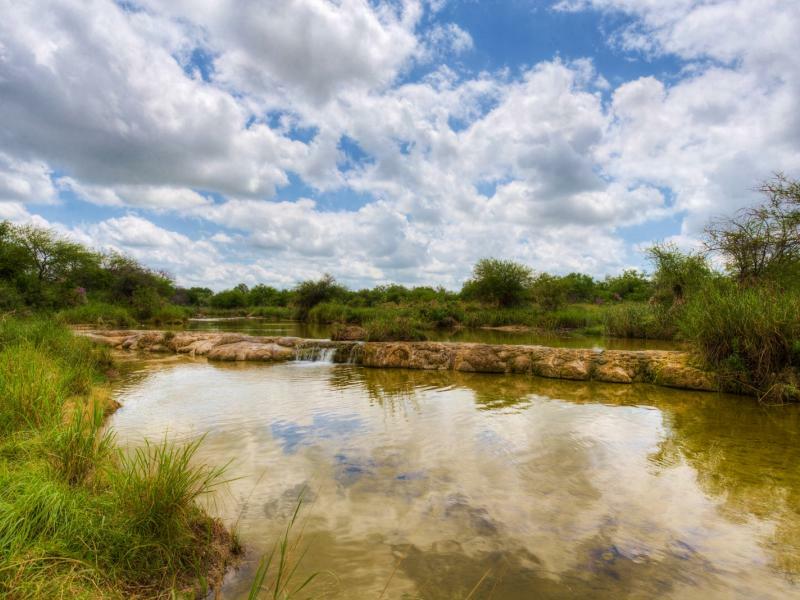 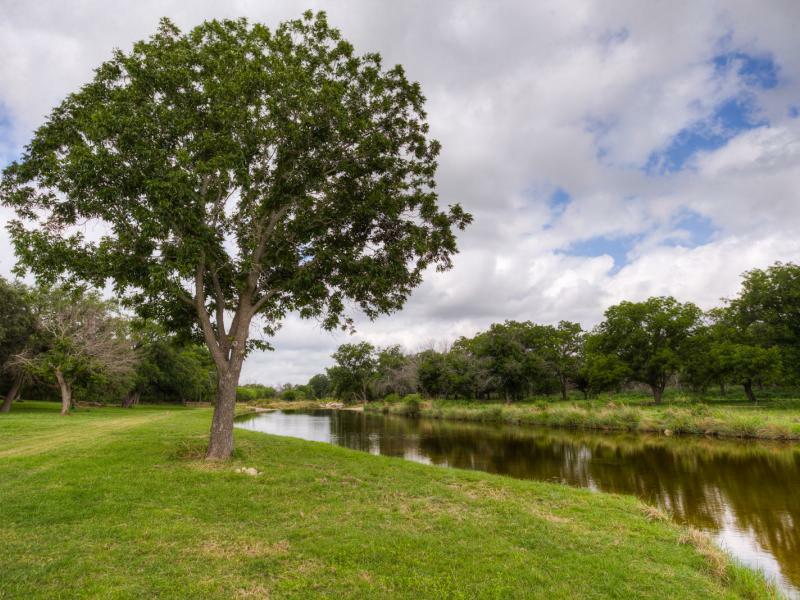 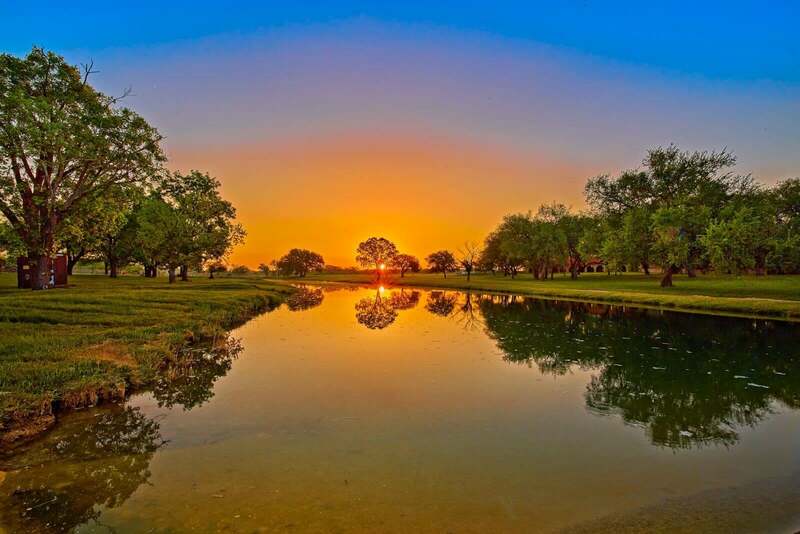 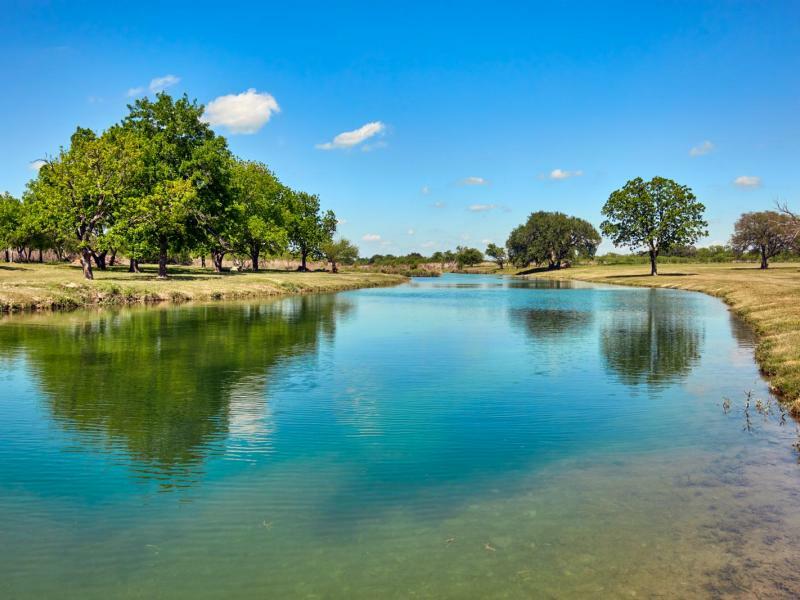 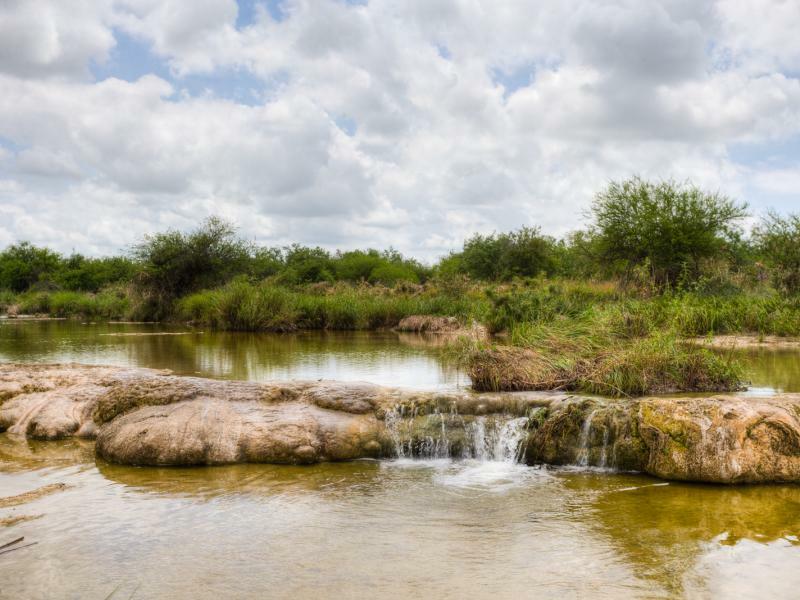 The life blood of the ranch is provided by 3 miles of beautiful Pinto Creek which meanders through the property in a southwesterly direction. 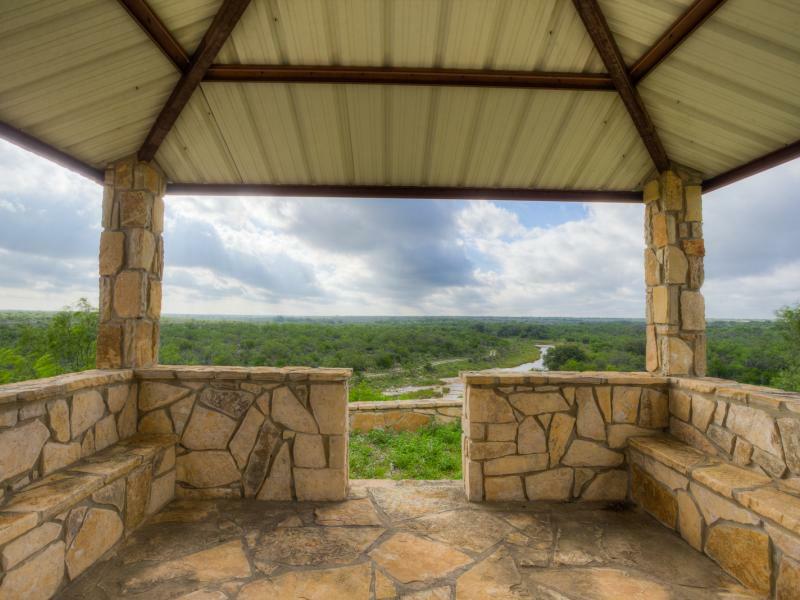 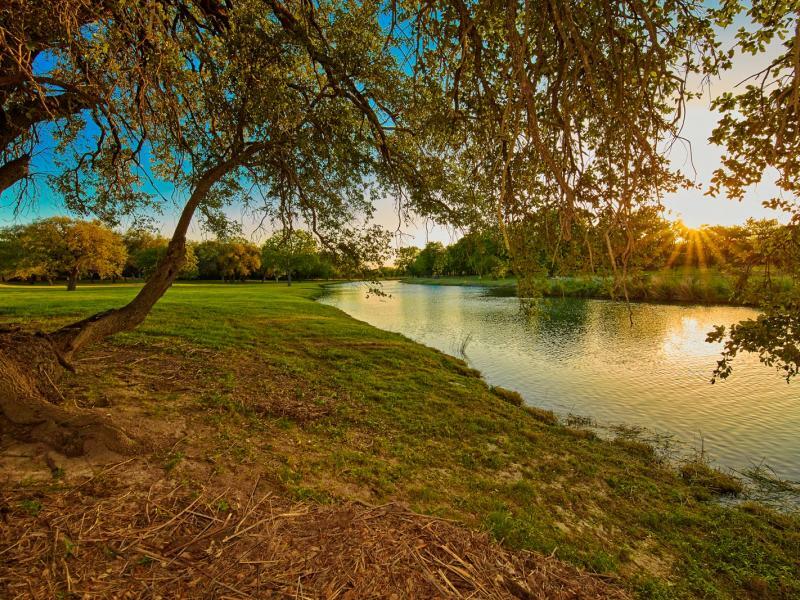 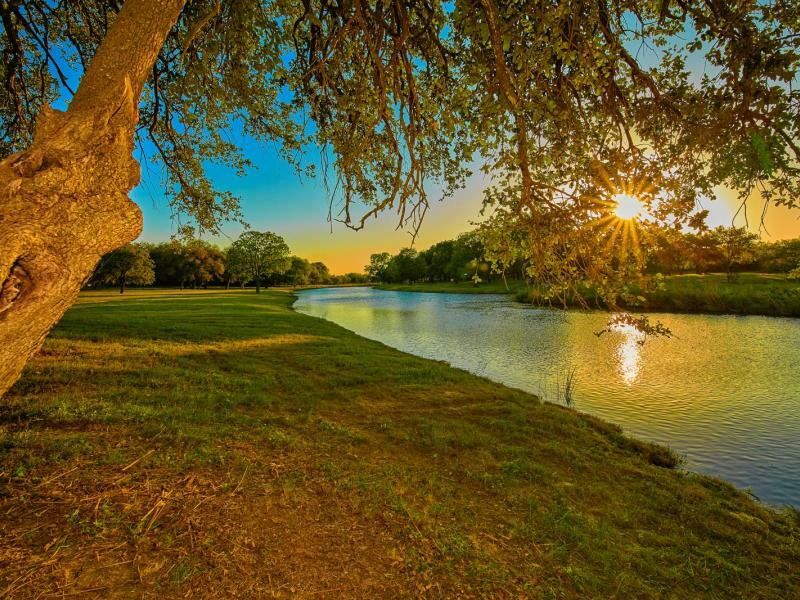 Over time, the water of Pinto Creek has shaped the landscape creating a unique flavor of diversity, both reminiscent of South Texas and the Hill Country, and provides breathtaking views and towering rock bluffs. 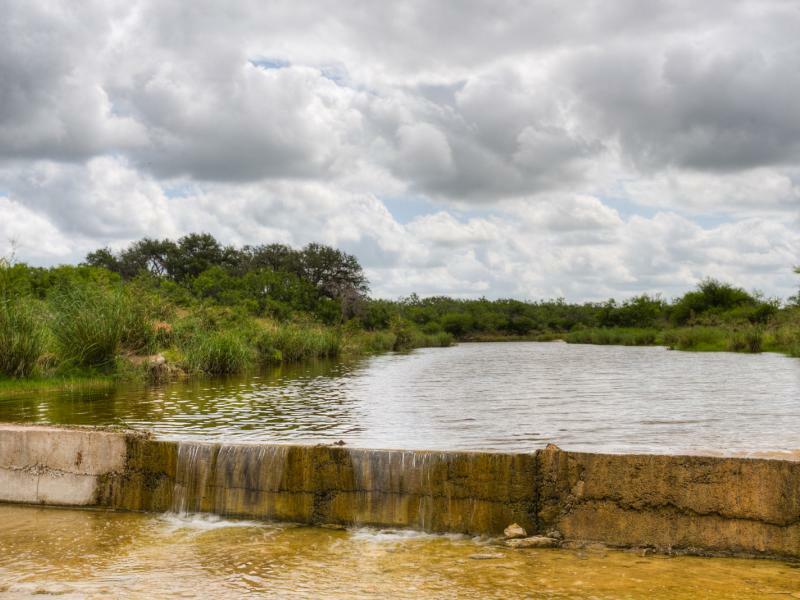 Three concrete dams strategically placed along the creek provide excellent spots for aquatic recreation and there are numerous opportunities for additional water impoundments. 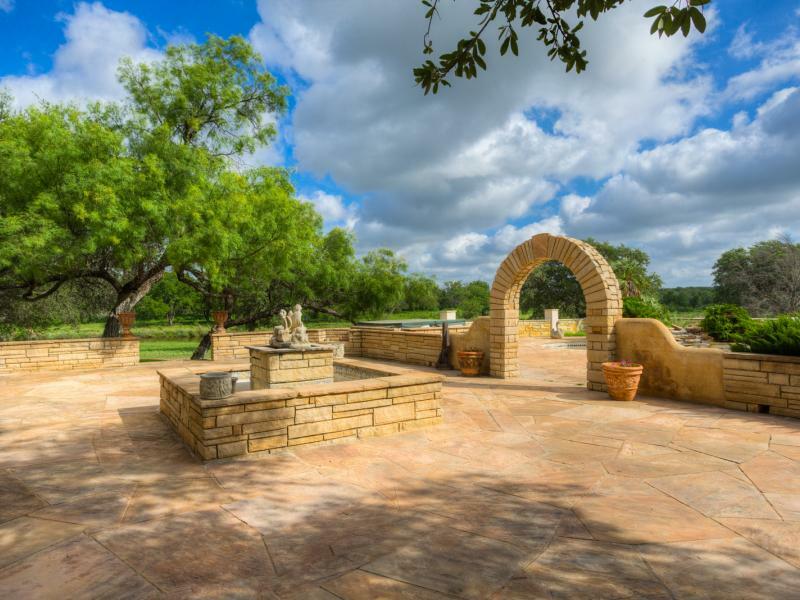 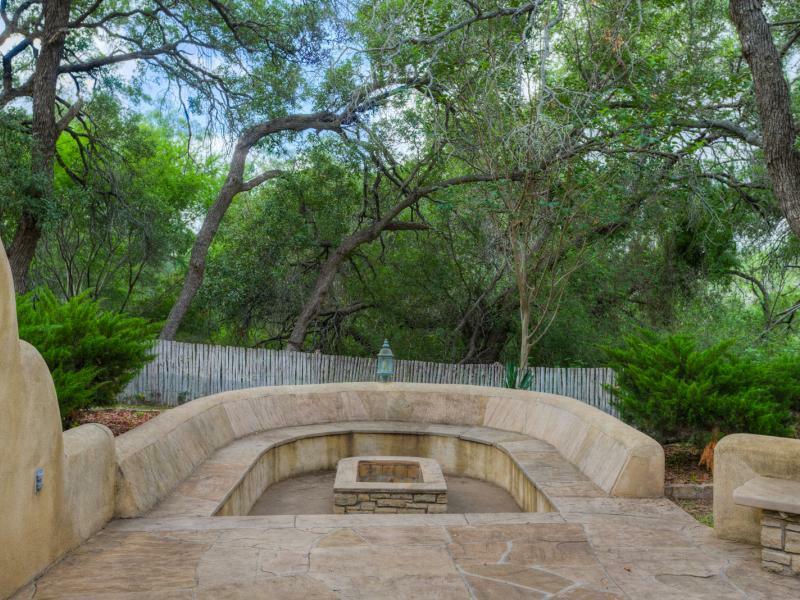 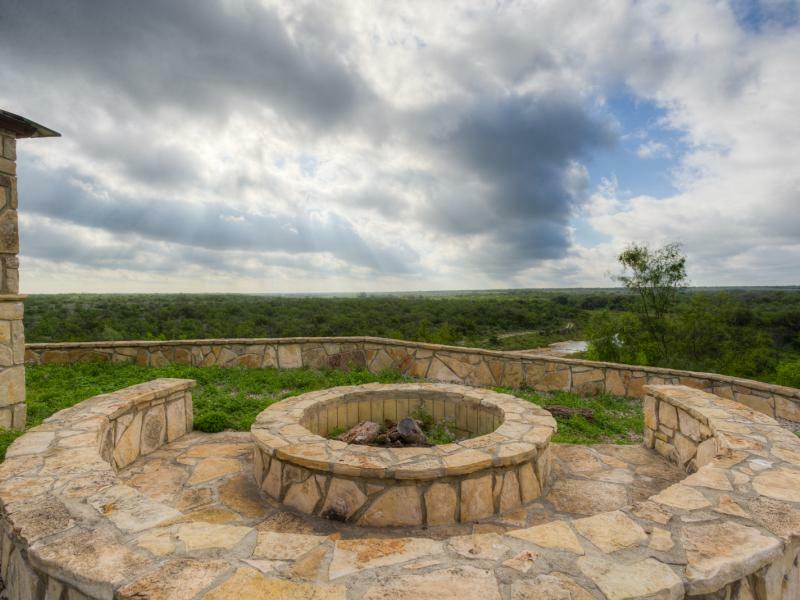 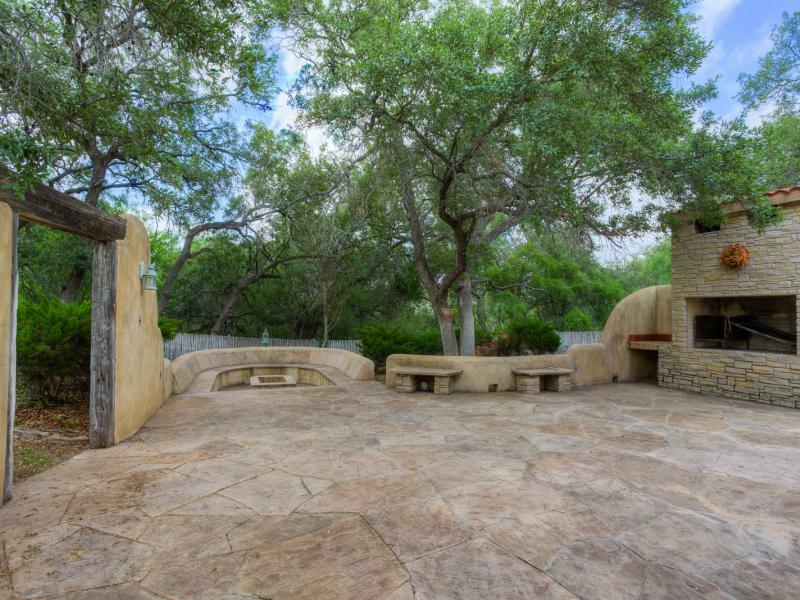 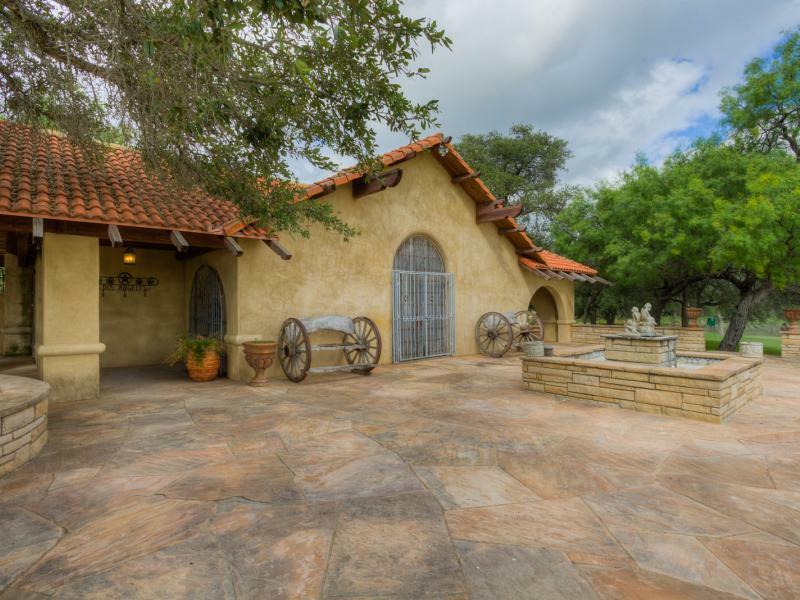 Improvements include a spectacular 6,500 sqft Stucco Lodge overlooking Pinto Creek. 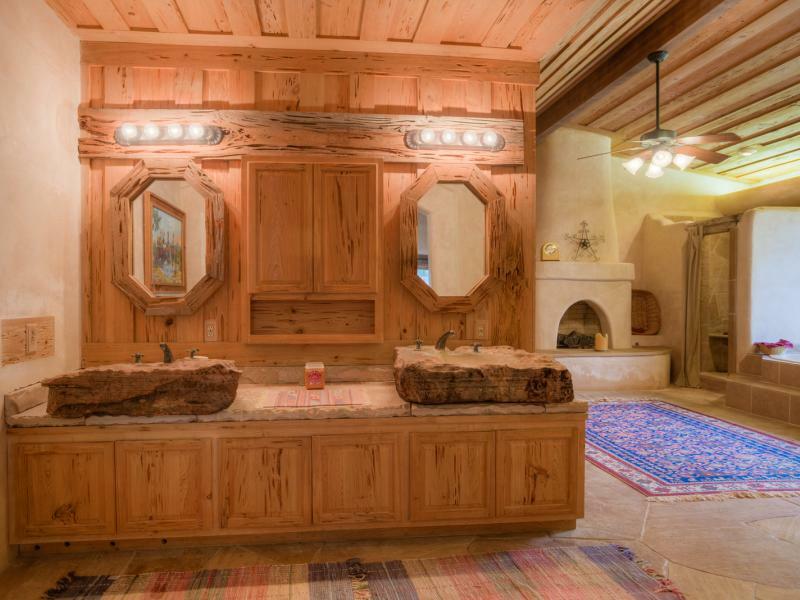 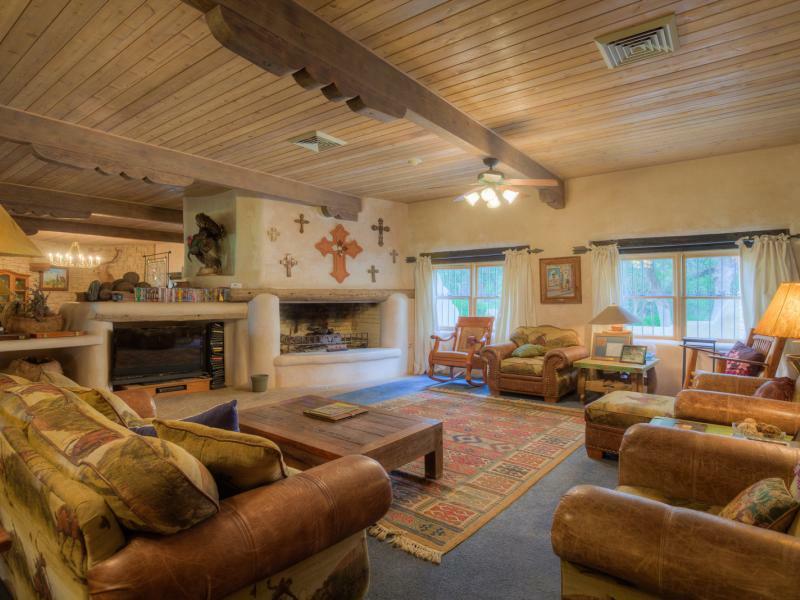 The lodge’s rustic architecture embraces the appeal and quaintness of the southwest. 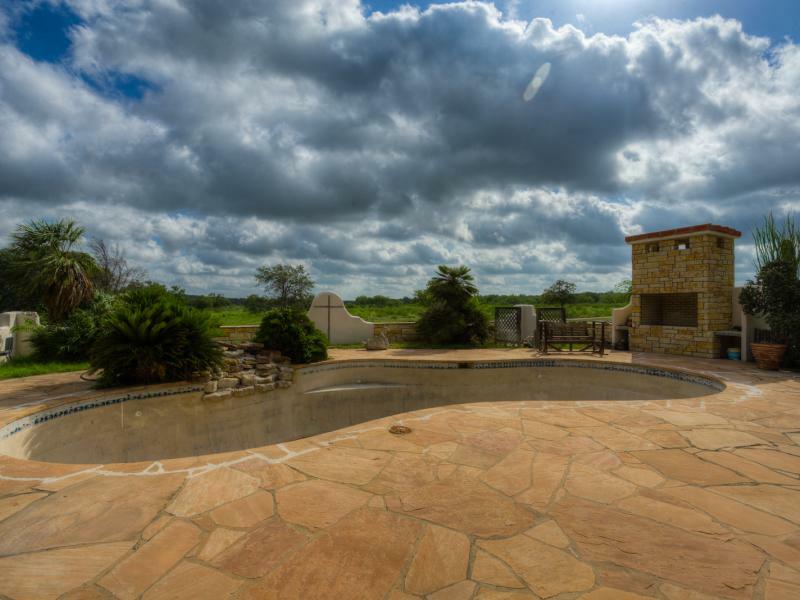 It also includes a swimming pool and plenty of room for outdoor entertainment. 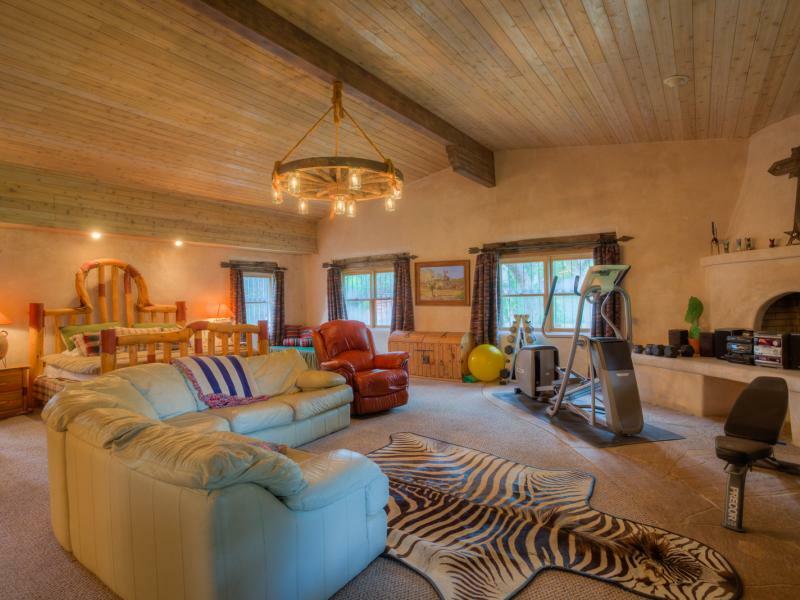 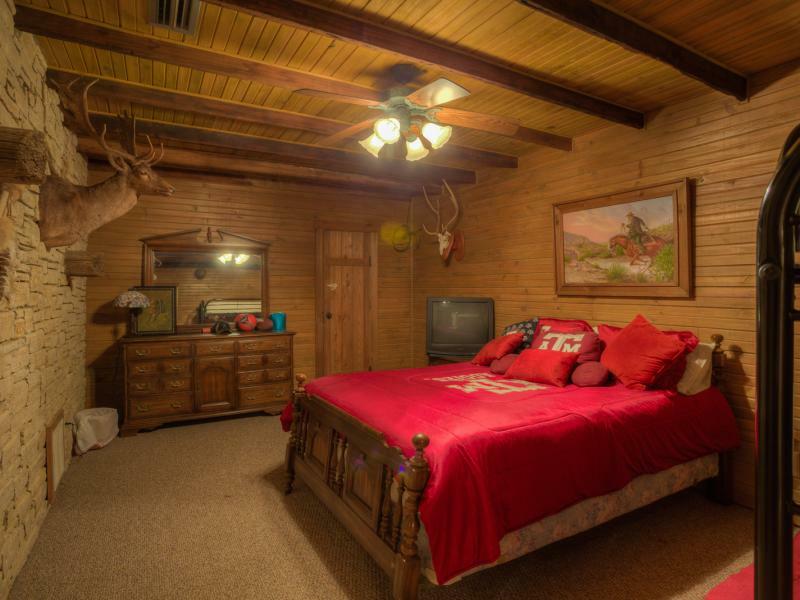 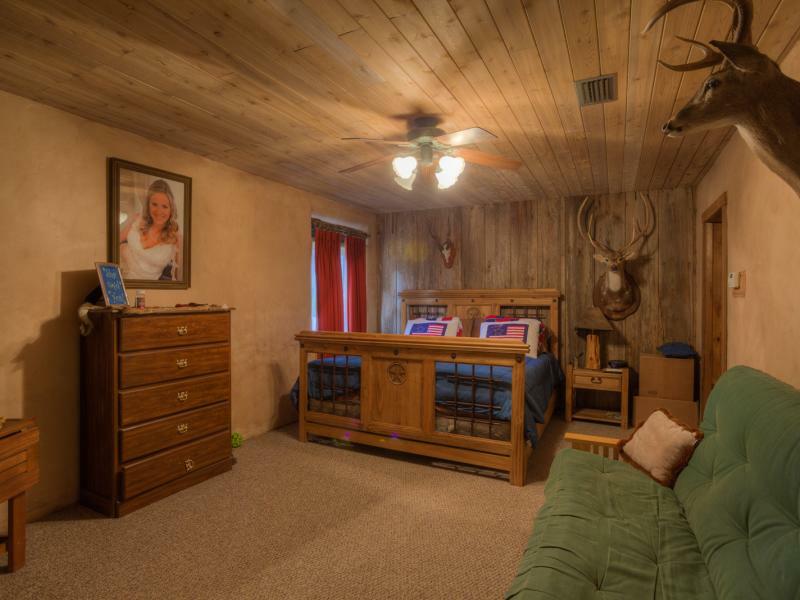 A second guest lodge is centrally located within the ranch. 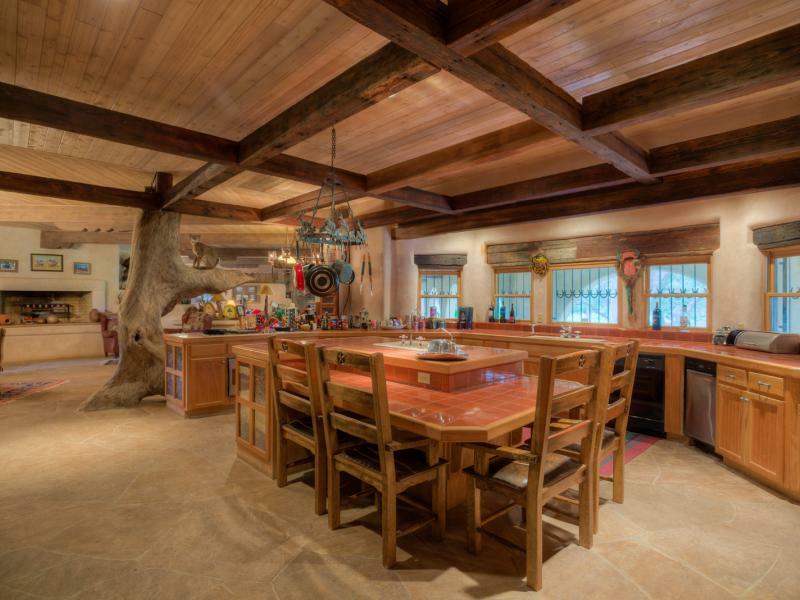 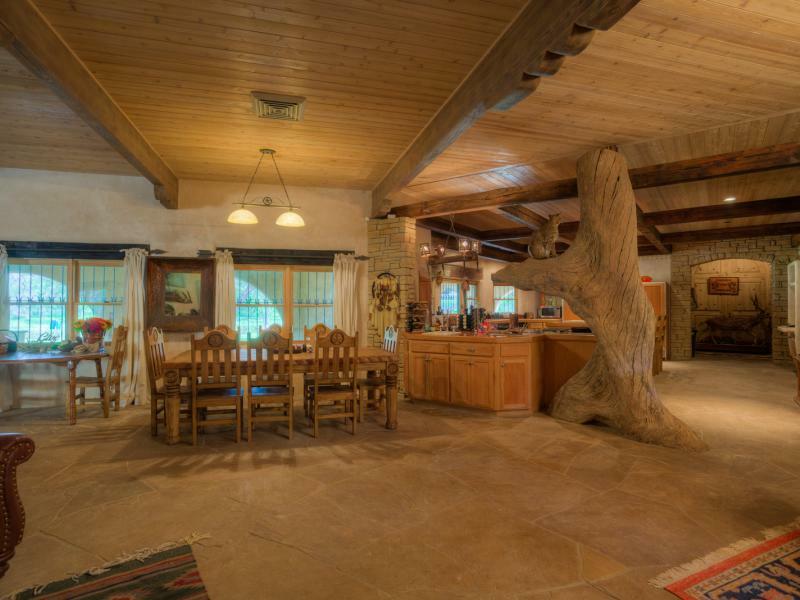 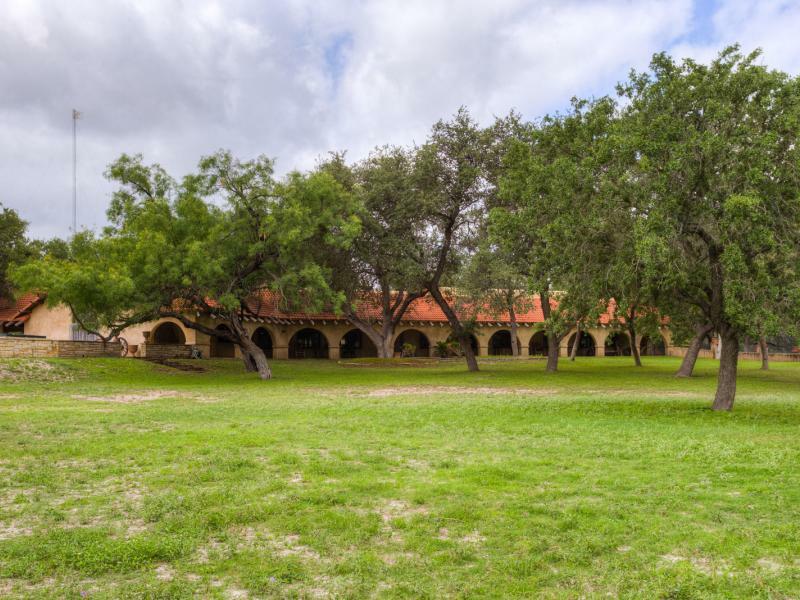 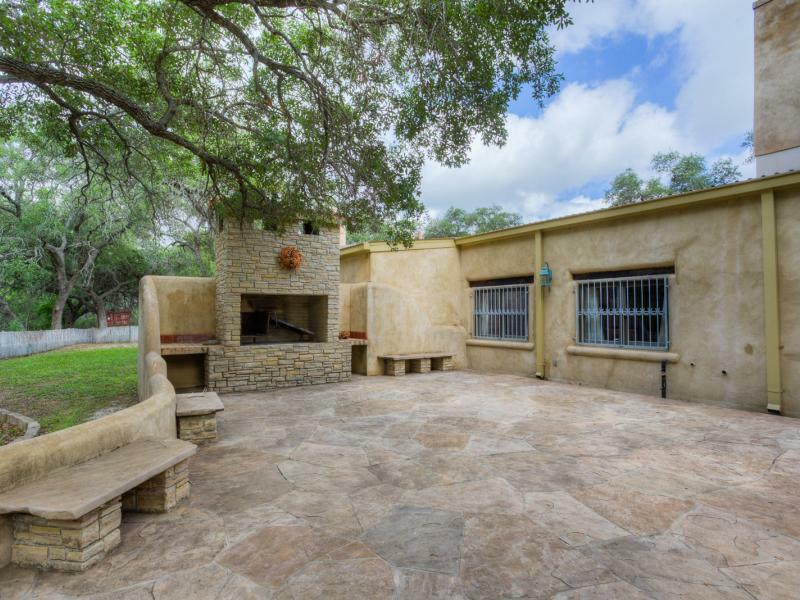 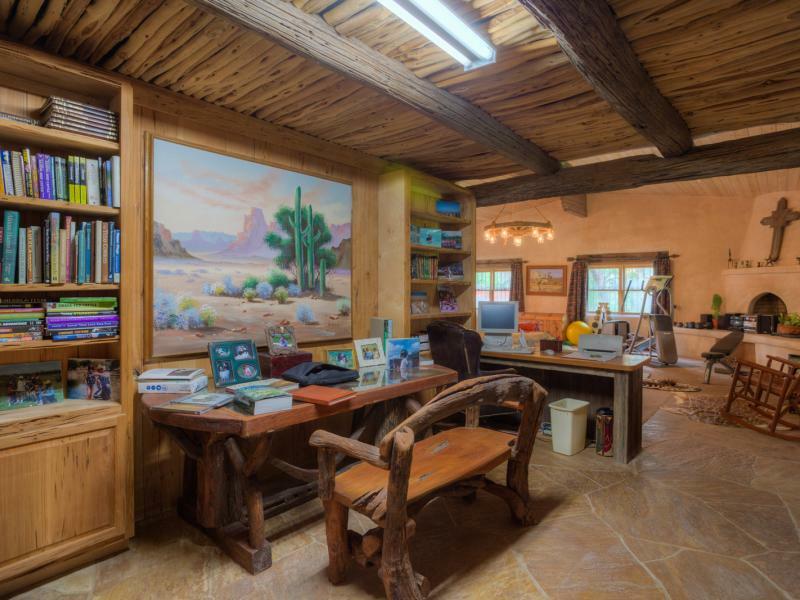 This hacienda style lodge contains a commercial kitchen, dining area, and game room. 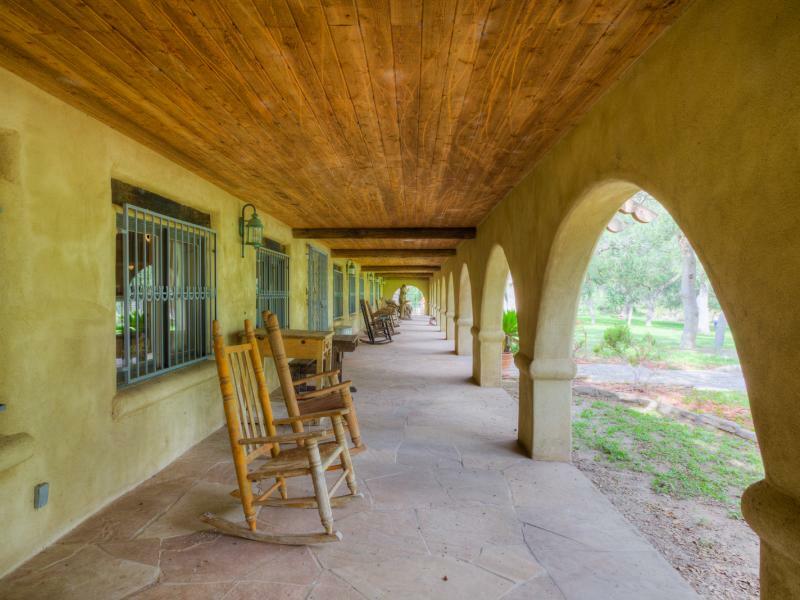 The pleasant outdoor courtyard is flanked by three guest houses. 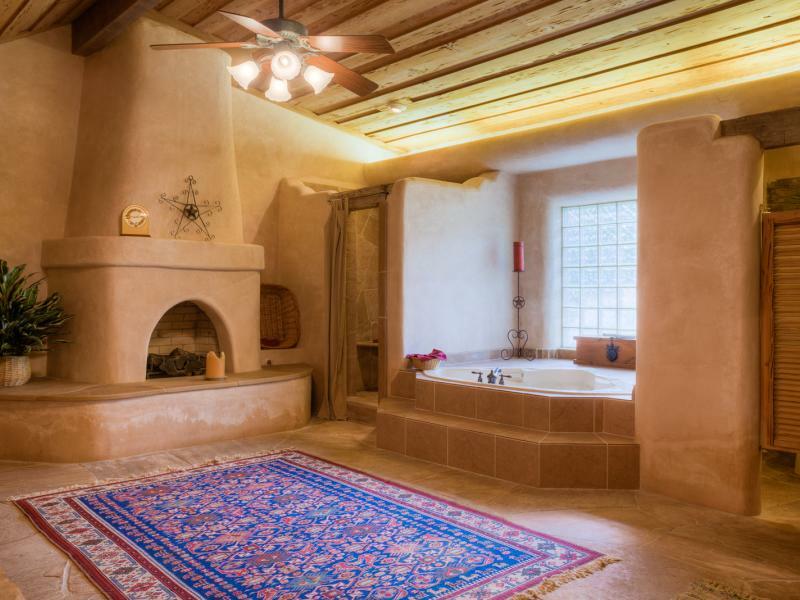 Each guest house has two bedrooms with private baths. 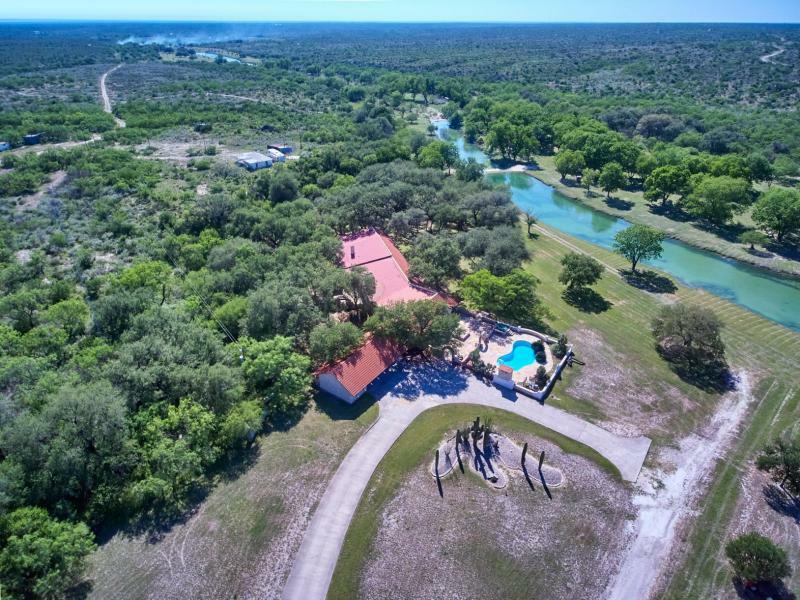 Other improvements include an 8 station 5 stand shotgun coarse, top notch dog kennels, Other amenities include use of a 5,300 ft paved and lighted runway, 380 acres under two pivots and 23 irrigation wells, numerous barns, and all weather roads. 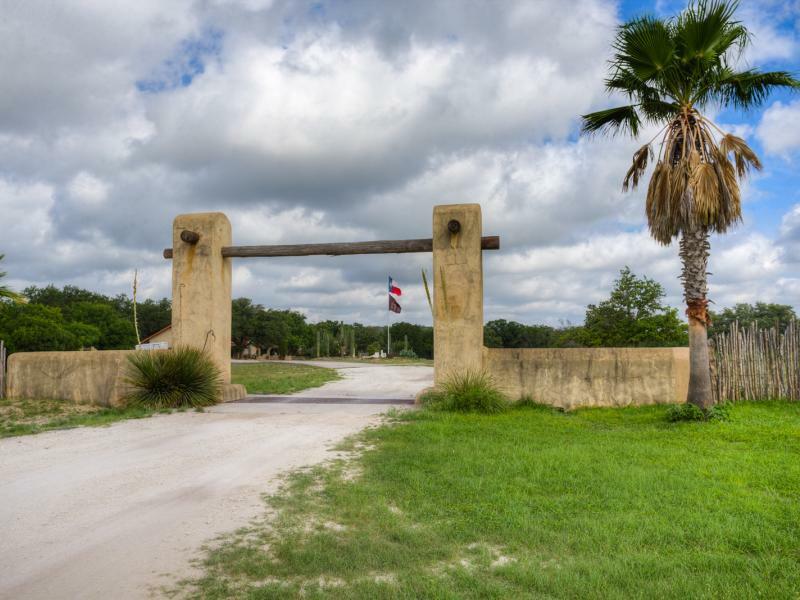 The ranch has been high fenced since 1984and level 3 MLDP. 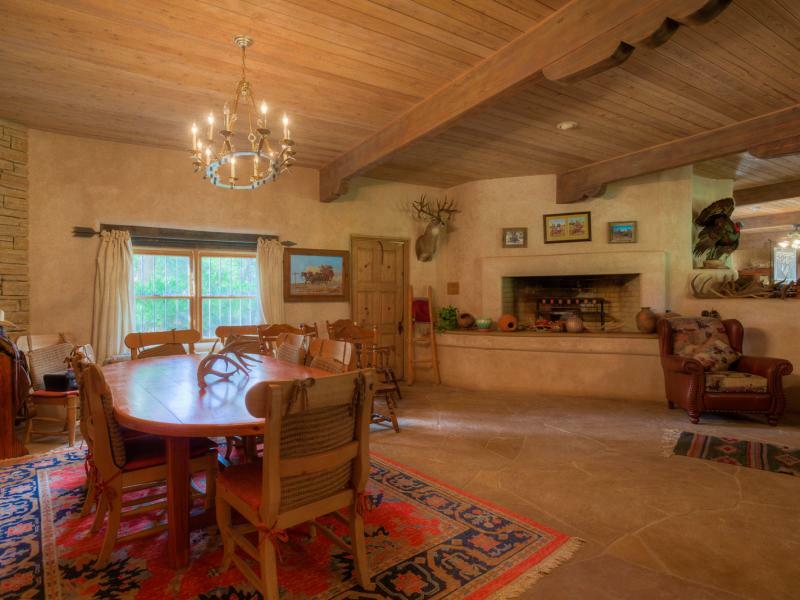 Wildlife abounds on the Dos Angeles Ranch. 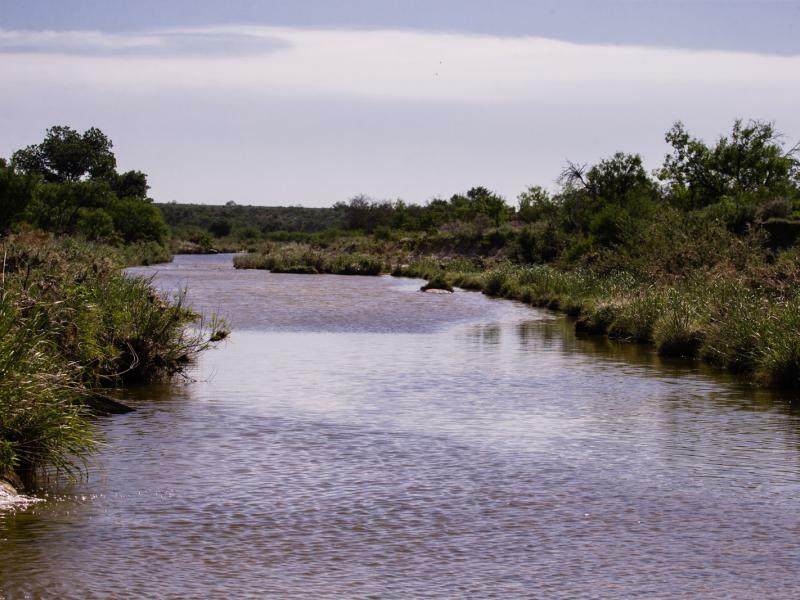 Indigenous game species include White-tailed Deer, turkey, quail, and dove. 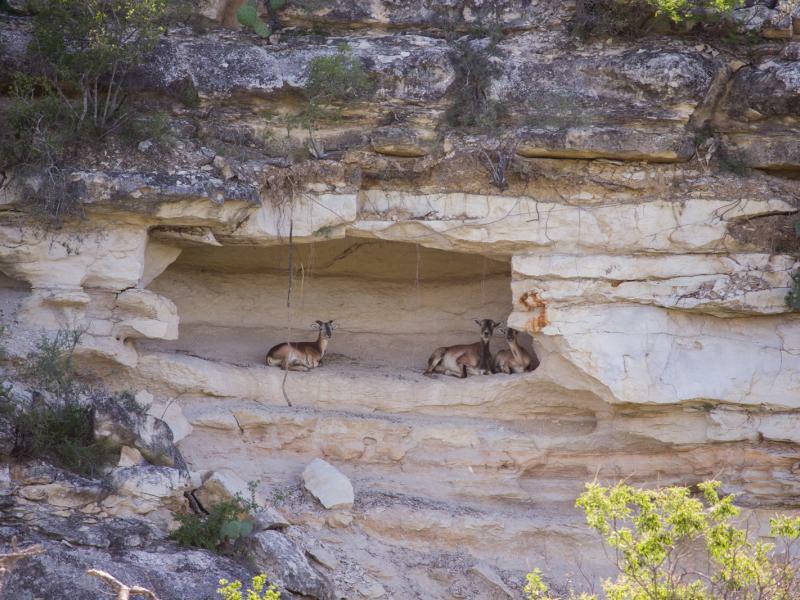 The ranch also manages several exotic ungulate species which include Aoudad, Axis Deer, Red Deer, Black Buck Antelope, and Mouflan Sheep.